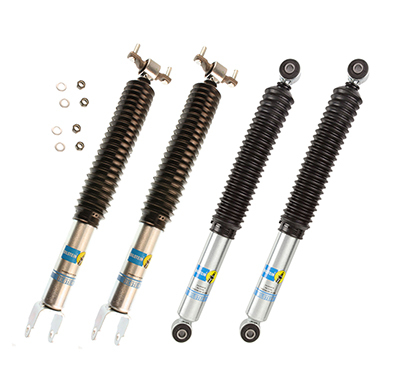 Bilstein is one of the most propular brands in the world. 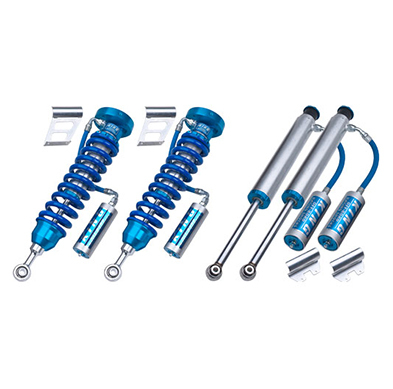 5100 Series Ride-Height Adjustable designed for coilover trucks and SUV’s is the most popular aftermarket performance suspension upgrade. King is a company that prides itself on unbeatable quality and performance. From high-end racing products to OEM replacements.Coilovers, bypass and smoothie shocks, along with bumpstops, and more. ICON develops revolutionary performance suspensions components for your specific vehicle. Aftermarket coilover shocks, control arms and leveling kits for real world applications as well as race conditions. You have come to the right place for everything Suspension, Exhaust, Brakes, Muffler, Bumpers, Roof Racks, Side Steps, LED Lights and more. Our success is bringing the best value and purchase experience to our customers.